The annual match between the Men and Ladies of Cheshire Golf took place today at Bramhall Golf Club, the home club of Cheshire Ladies Captain, Luci Foster. This event is very keenly fought, beginning with handicap allowances for the macth. These "discussions" generally last some time before the Ladies get their way. The morning foursomes saw the Men win all four matches, however, the afternoon singles saw much tighter games. Curtis Cup star, Bronte Law saw off Cameron Massey, 4 & 2, whilst Emma Goddard beat former County Champion, Fraser McLeod, 3 & 2. The final single results finished at Cheshire Men with 5 games and Cheshire Ladies 3 games making an overall result 9 - 3 in favour of the Cheshire men. Cheshire narrowly failed to win the Four Counties this year, once again losing out to Lancashire on a countback of games won overall through the Tournament. The day began with three teams able to win. For Cheshire to win out right required a strong win over Shropshire & Herefordshire and for Lancashire to either lose or halve against Nottinghamshire. If Lancashire beat Nottinghamshire, Cheshire could win if they managed a 7 games to 0 whitewash and Lancashire were kept to a 4 games to 3 win. Cheshire turned on a superb performance. Despite losing a player to injury as the match was being played, Cheshire only dropped a 1/2 point beating Shropshire & Herefordshire 5 1/2 games to 1 1/2. Cheshire's fate depended on Lancashire who beat Nottinghshire as might have been expected 5 games to 2. Team manager, Mike Jones said afterwards "I am very proud of the team. They showed great spirit and determination today (Thursday) in playing as they did. Our performance against Lancashire was disappointing, I feel circumstances were against us against playing Lancashire; a combination of the cold, nervous exhaustion and a spurred on Lancashire team, we never got started"
County President, Ron Harrison, said "The boy's were magnificent today (Thursday), it was disappointing against Lancashire, but they never gave up. I would also like to thank the travelling supporters from the Cheshire Executive. To travel all this way and support the team on and off the course was brilliant". The 41st Four Counties Tournament got underway at The Herefordshire Golf Club today. Played annually between Cheshire; Lancashire; Nottinghamshire and this years host County, Shropshire & Herefordshire, this is always a keenly fought contest between all parties. The first round matches pitched Lancashire against Shropshire & Herefordshire with Cheshire playing Nottinghamshire. Shropshire & Herefordshire produced a surprise win against a traditionally strong Lancashire by 4 games to 3. Cheshire Team L to R: County President, Ron Harrison, Matt Robinson (Eaton) Cameron Massey (Wallasey) Sam Turner (Stockport) Ben Hallam (Wychwood Park), Lewis George (Delamere Forest), Daniel Swales (Sandiway), Joe joyce (Prestbury) Matthew Jordan (Royal Liverpool) and Mike Jones, Team Manager. The afternoon saw a disappointing Cheshire performance. After a strong win in the morning Cheshire met a resurgent Lancashire, clearly smarting after the morning session, who beat the Cheshire team by 5 1/2 games to 1 1/2. In the other match, Shropshire & Herefordshire beat Nottinghamshire by 4 games to 3. The state of play after two matches saw Shropshire & Herefordshire on 4 match points, Cheshire & Lancashire on 2 points with Nottinghamshire 0. This meant that three teams could still win the evt depending on how Thursday's matches went. Cheshire's season finally got underway today at Conwy Golf Club with the annual match against the North Wales Counties. However, the team appeared to be under the effects of the winter weather and lacking match fitness. The morning foursomes resulted in a slight lead for North Wales at 3 1/2 to 2 12/ games in their advantage so all was set for a close match in the singles. North Wales were out from the starting blocks very quickly, winning the first six games, which meant the overall match was theirs despite a minor revival in the lower games for Cheshire. Reflecting on "a bad day at the office" County Captain David Peel (Stockport) accepted local knowledge was a factor, with 4 local players in the North Wales team, told his team a rapid improvement was necessary. This match took place at the excellent Stockport Golf Club in order to supplement the preparation of the Boys team for the forthcoming 4 Counties Tournament. The venue provided a good test on fast greens worthy of this keenly fought contest. The Seniors team started all the games 2 up and acquitted themselves very well against a strong Boys team. All the matches were played in a great spirit and everybody involved enjoyed the hospitality and welcome of Stockport Golf Club. The Boys now look forward to the Four Counties Tournament being played at The Herefordshire Golf Club on 9th, 10th & 11th April. The Seniors have their opening fixture against Denbighshire Seniors at Eaton Golf Club on Friday, 5th April 2013. Roger Fielding (Ringway Golf Club), CUGC President in 2011, has been appointed Chairman of the English Golf Union Northern Counties. He will take up this postition on 1st January 2014. The Northern Group consists of seven County Unions in the north of England, which are: Cheshire, Cumbria, County Durham, Isle of Man, Lancashire, Northumberland and Yorkshire. The severe weather affecting much of the country has forced the cancellation of this match. 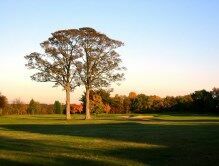 The 2013 golf season gets under for Cheshire this coming Sunday with the traditional opener against Sandiway GC. 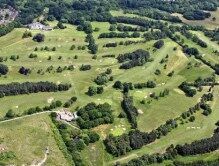 Sandiway GC has a long tradition of producing many excellent players in the past who have represented both County and England, many of whom have moved to the professional ranks. So Cheshire can expect a tough match from a club team that boasts three current county players and several former county Boys players. Despite the absence of several key players, the Cheshire team are fielding current County Champion, James McCormick (Styal) and former champions in County Captain, David Peel (Stockport) and Frazer McLeod (Prestbury). There are several new additions to the squad in Joe Armitt (Prestbury), Charles Bradley (Bramhall) and Alex Pritchard (Frodsham). 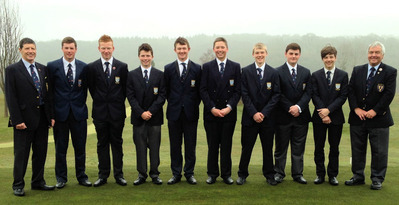 Following the recent Boys Pre - Seaon event at Warrington Golf Club, Cheshire Boy's team manager, Mike Jones (Chester GC) announced the team to represent Cheshire in the Four Counties Tournament, held this year at The Herefordshire Golf Club, between 9th & 11th April 2013. 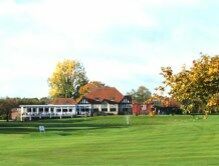 Played annually between Cheshire; Lanacashire; Nottinghamshire and Shropshire & Herefordshire, Cheshire have won the event 14 times since 1973, when the event was first played at Crewe Golf Club. 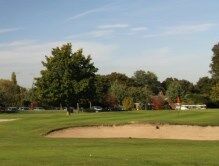 Lanacshire are the current champions having won narrowly from Cheshire over the West Lancashire Golf Club course in 2012. The 1st Annual Genral Meeting of the newly formed Cheshire Union of Golf Clubs Ltd was held at Sandiway GC today. Out going President, Mike Jones presented his report (Full Report) of the season. The County Treasurer, Sean Ritchie presented the Accounts for the year ending 31st October 2012. Under the Articles of the company, Deputy President, Ron Harrison, was appointed President for 2013 following the retirement of Mike Jones, who on retirement is appointed a director of the Company for three years. Phillip Bates & co were re-elected as County Auditors.